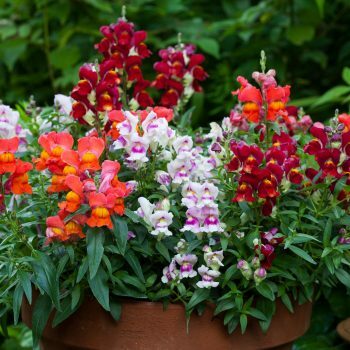 Sponsored by National Garden Bureau and their members, the #SNAPDRAGONLOVE contest is designed to inspire creative videos from anyone and everyone who loves snapdragons, both cut flowers and bedding/potted/landscape varieties. 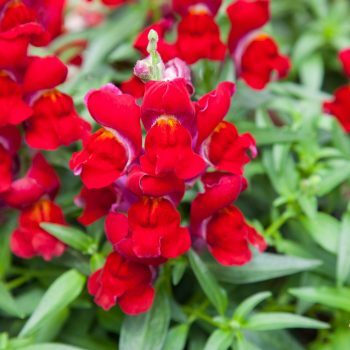 Submissions should be 30-60 second videos that feature snapdragons. They may be skits, animation (talking snapdragons?! 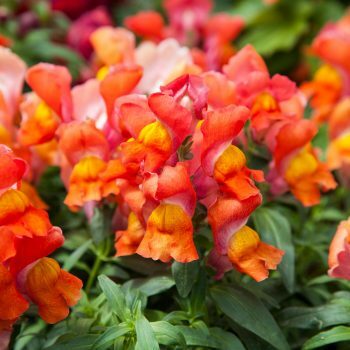 ), testimonials, or other types of videos, as long as they feature and promote snapdragons. 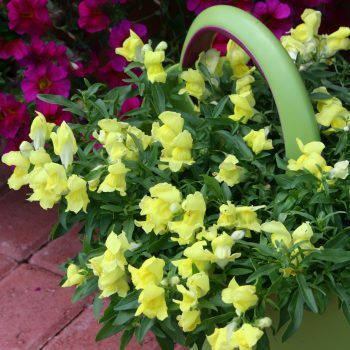 FACEBOOK METHOD OF ENTRY – Between 2/14/2019 and 5/15/2019, post a video featuring snapdragons on your personal or business page (“Video) and include the hashtag #SNAPDRAGONLOVE to receive one (1) entry into the contest. You must have a Facebook account to enter via Facebook. If you do not have a Facebook account, visit Facebook.com. Account settings must be set to public. Including #SNAPDRAGONLOVE in an Entry during the Entry Period constitutes your agreement to these Official Rules. TWITTER METHOD OF ENTRY – Between 2/14/2019 and 5/15/2019, tweet a video and include the hashtag #SNAPDRAGONLOVE to receive one (1) Entry into the Contest. You must have a Twitter account to enter via Twitter. If you do not have a Twitter account, visit www.Twitter.com. Twitter accounts must be set to public. Including #SNAPDRAGONLOVE in an Entry (tweet on Twitter) during the Entry Period constitutes your agreement to these Official Rules. INSTAGRAM METHOD OF ENTRY – Between 2/14/2019 and 5/15/2019, upload a Video with a caption and include the hashtag #SNAPDRAGONLOVE to receive one (1) Entry into the Contest. You must have an Instagram account to enter via Instagram. Instagram accounts must be set to public. Including #SNAPDRAGONLOVE in an Entry (post on Instagram) during the Contest Period constitutes your agreement to these Official Rules. YouTube METHOD OF ENTRY – Between 2/14/2019 and 5/15/2019, upload a Video with a caption and include the hashtag #SNAPDRAGONLOVE to receive one (1) Entry into the Contest. You must have a YouTube account to enter via YouTube. Including #SNAPDRAGONLOVE in the video description during the Contest Period constitutes your agreement to these Official Rules. DIRECT SUBMISSION METHOD OF ENTRY – Between 2/14/2019 and 5/15/2019, submit video to National Garden Bureau by emailing the file, or a link to the file, to info@ngb.org. Include in the email your name and contact phone number. Submission constitutes your agreement to these Official Rules. Follow us on Facebook, Instagram and all other social media to stay up to date on all contest news! Contest begins February 14, 2019 and ends May 15, 2019. Official winners will be announced June 10, 2019.